The aptly named (but not pronounced, thank you commenter) Shropshire-based company Wrekin Construction collapsed last week amid recriminations about the helpfulness of the Royal Bank of Scotland, the group's bankers. "someone should be shot...I wouldn’t have let one of them so much as wash my car never mind run a bank." "...been driven into administration by the inflexibility of RBS...some of the blame has to fall on the doorstep of 10 Downing Street, given the government's majority shareholding in RBS." Presumably both men spoke before the administrators, Ernst & Young, discovered that in order to save the business from an earlier collapse in 2007 the then new owner David Unwin had one of his other companies, Tamar Group, sell Wrekin a ruby called the "Gem of Tanzania" in exchange for £11m of preference shares. The net balance sheet position was hey-presto transformed from showing net liabilities to net assets of £6m. The Royal Bank of Scotland car washers were at the time of this , erm, nil-cash asset infusion, described by David Unwin as "over the moon". Overdraft facilities remained in place and Mr Greenwood spoke, with no irony, of achieving a "diamond result" in 2008. 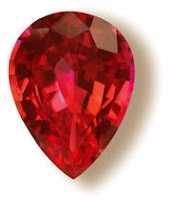 Now, the "Gem of Tanzania" is no ordinary ruby. With a fair value of £11m it is over four times the value of any other ruby ever sold by auction house Christie's. But rest assured that it was valued, say the notes to the Wrekin accounts, by the Instituto Gemmologico Italiano based in Valenza, Italy, on 31 August 2007. Can't say more kosher than that, can you? The Instituto Gemmologico Italiano, however, say they were closed that day. Nor do they perform valuations. The Ernst & Young search for the ruby continues. Both Peter Greenwood and Mark Pritchard were warned not to go to the media blaming RBS but they both did anyway. I mean, why let the facts get in the way of a good story - especially if you can blame someone else!! Wrekin is pronounced Wreeekin not Wreakin, ie a long E not a synonym with wreaking something.